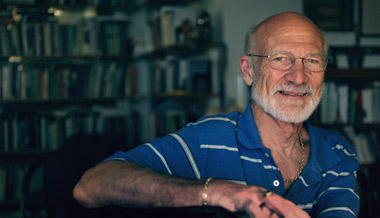 Stanley Hauerwas is the Gilbert T. Rowe Professor of Theological Ethics at the Divinity School of Duke University. Though he is often identified as an ethicist, his work is more properly described as theology. Certainly his work involves questions many associate with ethics, but his primary intent is to show in what way theological convictions make no sense unless they are actually embodied in our lives. To that end, he was among the first to reclaim the importance of character and the virtues for the display of Christian living. He has also drawn attention to the importance of narrative for explicating the interrelation of practical reason and personal identity, and correlatively the significance of the church as the necessary context for Christian formation and moral reflection. Accordingly, his work draws on a great range of literatures -- from classical, philosophical, and theological texts to contemporary political theory. He also works in medical ethics, issues of war and peace, and the care of the mentally handicapped. A graduate of Yale Divinity School (B.D. 1965) and Yale University Graduate School (M.A., M. Phil., Ph.D. 1968), Hauerwas did his undergraduate work at Southwestern University, Georgetown, Texas. He taught for two years at Augustana College in Rock Island, Illinois before joining the faculty of the University of Notre Dame, where he taught from 1970‑1984. He joined the faculty of Duke University in 1984 where he served as Director of Graduate Studies from 1985-1991. He is a member of the Society for Christian Ethics, the American Academy of Religion, and the American Theological Society. He has delivered lectures world-wide and was invited to give the prestigious Gifford Lectures at the University of St. Andrews in Scotland in the year 2000-2001. He has received honorary degrees from DePaul University (1988), University of Edinburgh (1991), and University of Virginia (2006).